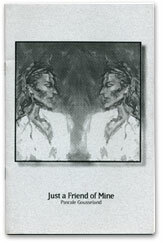 This is Pascale Gousseland's first chapbook. This work would not have been possible without the support and love of my parents, Pierre and Mireille who stood by me when I chose poetry as my particular expression. Grateful acknowledgement to my husband John and the editors who published me. The artwork on the cover was created by Yuichiro Shibata, my dear friend. 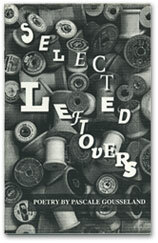 This is Pascale Gousseland's second chapbook. This chapbook is dedicated to all my friends family and fellow poets. Special thanks to my friend and artist, Yuichiro Shibata, for the cover art and to the publisher Ignatius Graffeo. 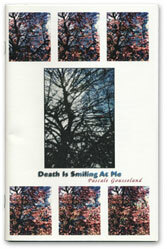 This is Pascale Gousseland's third chapbook. Some of you may wonder "What is a Farandole?" A Farandole is a lively, French dance in which men and women hold hands, form a chain and follow a leader through a serpentine course. I think this evocation, symbol of movement, love, energy can lead your imagination to roam with titled, untitled, names, words, feelings, visions and thoughts. A trip in the visionary world of poetry, the inspiration of which comes from the experience of life echoing with the universe. This book is dedicated to my Japanese, artist, friend, Yuichiro Shibata whose paintings (the names of which are contained in my poem "Titles") have been a rich source of inspiration. American Japanese French...all Nation's people...let's share and dance the Farandole of life. 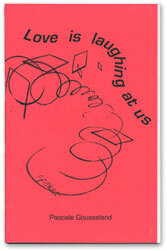 This is Pascale Gousseland's fourth chapbook. Many thanks to my husband, John Copen, for his artwork of the front and back covers and to Ignatius Graffeo, my publisher. This is Pascale Gousseland's fifth chapbook. Grateful acknowledgement to Barnaby Ruhe whose original portrait of Pascale Gousseland served as artwork from which the cover is composed. 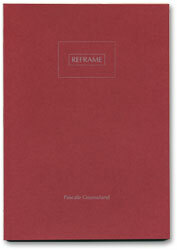 This is Pascale Gousseland's sixth chapbook. How many years does it take to recover from your own death? How many sorrows, joys, abuses? 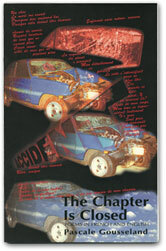 "The Chapter Is Closed" is the final book in a series of five dealing with the long term recovery from a near fatal automobile accident ten years prior. 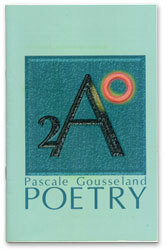 Pascale Gousseland is the survivor of that near death experience, an extraordinary poet, two time recipient of the Gradiva Award, a psychotherapist, hypnotherapist, native born Parisian and residing New Yorker. Her path in this life is meant to provide inspiration and light for anyone traveling a difficult journey with courage and hope. 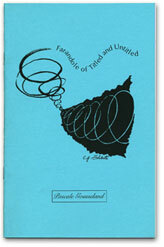 This is Pascale Gousseland's seventh chapbook. In general, people are frightened by death because they lack understanding of this mystery. Like the cessation of everything familiar...very scary... reaching into the unknown, they find consolation and comfort looking for an explanation..."life after death" when in fact it could be much easier to assimilate death as a necessary part of living, evolving, metamorphosing, Let's consider that each new belief learned is perhaps the death of one whose purpose has been served and any kind of new truth is the continuity of the existence of the ones before, this is the system of evolution, transmutation. Every day a part of us is dying, knowing Death is knowing Life and Love. When we rationalize death, saying it's inevitable, will happen to everyone, we feel we are not really free until we think more about it and integrate with it. Our goal is to accept and live with mortality instead of waiting for its coming. 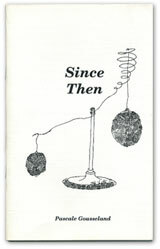 "To a Degree" is her eighth chapbook. This is Pascale Gousseland's ninth chapbook.